I’m usually one of the last people to join in on a trend. Sometimes I won’t watch or read something simply because everyone else is doing it. I didn’t watch Titanic until 2005. I haven’t seen the new Les Miserables movie. I still haven’t watched Frozen. Does this make me a little snobbish? Maybe. Do I miss out on some great things this way? Assuredly. For this reason, I had avoided watching Downton Abbey for years, despite multitudes of people I trust imploring me to watch it. It took my wife (and a sale on iTunes) for me to finally break down and start watching. I was bored by the first episode, but we kept watching and by the end of the first season I found myself intrigued (yes, I know, I’m sure it keeps getting better in later seasons). Yet, I found myself wondering why this Masterpiece Classic was so gripping for so many of us. I’ve come up with at least 10 reasons why we are so enthralled by life at Downton. 1. Accents – Never underestimate the power of an exotic accent. Downton drips with new vocabulary and idioms (‘it’s all 6s and 7s’) as well as familiar phrases made fascinating by British and Irish accents (even ‘hospital’ and ‘secretary’). 2. 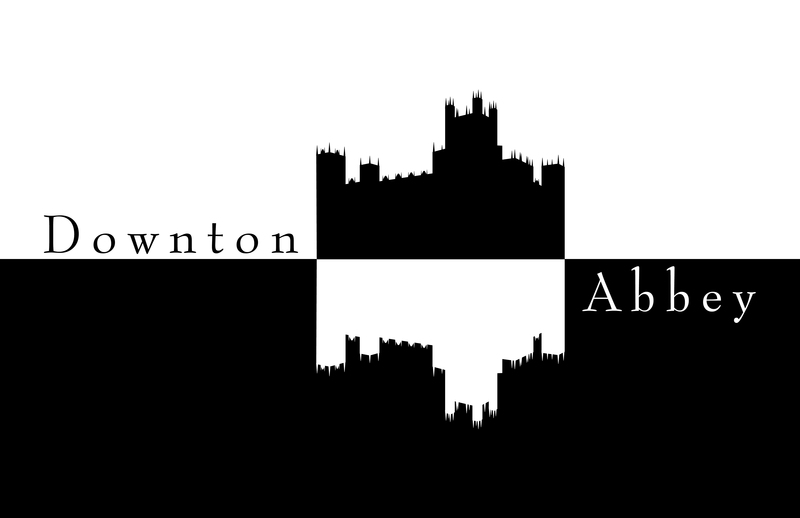 Classes – Downton begins as a world with (more or less) clearly defined classes. As the show progresses, the world begins to change and what had once been clear (role, duty, entitlement) becomes increasingly unclear. While class exists in America, it has rarely shown up with the same level of clear definition and self-understanding as one finds at Downton. On this side of the Atlantic, we find ourselves easily convinced that class doesn’t exist, but it was a part of the everyday fabric of life in England. In its differences, class becomes intriguing in its own right as well as illuminating of the ways we so easily ignore it in our own contexts. 3. Fancy Clothes – How may women watching the show have wanted to wear some of those dresses? How many men haven’t want to put on a suit or uniform after watching? 4. Understatement – Personally, this is perhaps the most profound reason I watch Downton Abbey. We live in a culture of over-statement. Everything must be larger and more. We feel we must shout to be heard. Yet, the world of Downton is one of understatement. The show is filled with space and the dialogue itself says more in what is not said than in what is said. We have found a richness of communication and relationship between the words and I think a part of us longs for that world. Pre-television, pre-internet, pre-twitter, Downton is a quieter world, better prepared to listen between the words. 5. History – My Canadian friends may prove a welcome exception to this, but most Americans don’t know much about The Great War, let alone its impact on England. Our entry was late into the war and its impact, while great, was considerably less than it was in Europe. Simply put: Downton Abbey gives us a window into a world and a time we don’t really know. So we watch and learn. 6. Drama – Similar to the characteristic of understatement, there is a stateliness to the way drama is carried forward in the show. Even when the world seems to be falling apart, the characters often contain a certain stateliness about them. We often wish we were so composed in our distress. We watch and wonder about what allows them to maintain dignity in the face of adversity. 7. Romance – We all want to know if Mary will ever find love or what will ever become of Matthew. Please, don’t spoil it for me. I’ve only just started season 2. 8. Dignified Work – Downton Abbey features the lives of Lords, Ladies, Countesses, and heirs, but it also tells the story of servants, drivers, and footmen. None of us are Lords and Ladies (and so we dream), but most of us perform work on a daily basis that might not be considered exciting or heroic. We aren’t forensic scientists, cops, vampire hunters, or best-selling authors, but we cook, make beds, dress children, and do other jobs that our culture doesn’t consider to be glamorous. Our world resonates with Cousin Matthew’s claim that it seems silly for an adult to do these jobs. But we do them, and in the world of Downton, these professions have dignity. There is something honorable about being a cook, about helping make beds, and cleaning. There is something honorable in the hard labor or someone’s whose occupation is to serve. 9. A Changing World – The period surrounding The Great War was a time of tremendous change. Roles, duties, and responsibilities that had seemed so clear not ten years earlier shifted rapidly and left many people confused, anxious, and uncertain. We see our world in a period of transition as well. Roles and duties are changing and we find ourselves equally confused, anxious, and uncertain about what lies ahead. We, along with the characters, long for days of clarity, even as we know that they (and we) cannot go back. We watch them move forward in the joys and struggles of a new and different world and are reminded of our challenges as well. 10. The Characters – They are well-written even when we dislike them. We want our heroes to succeed and we want our villains to fall. Regardless of our feelings for them, we have feelings for them. We care about the characters and compelling characters will bring us back again and again. I would be interested to have you revisit this after toy have seen it all.